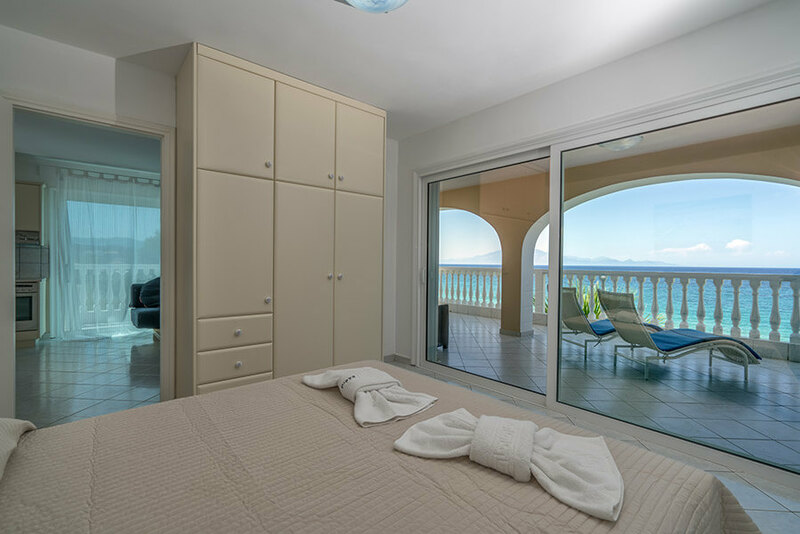 The amazing sea view studios offer an open plan spacious room and can accommodate up to 2 adults + 2 children. 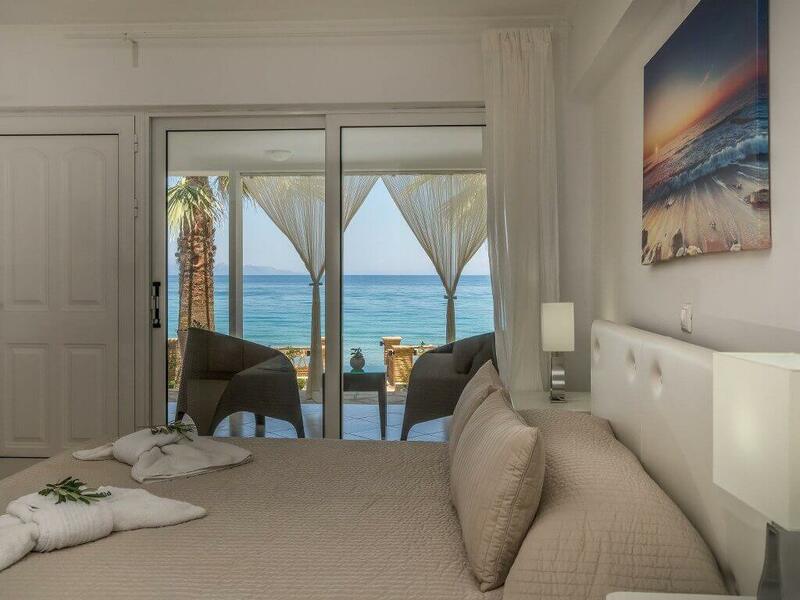 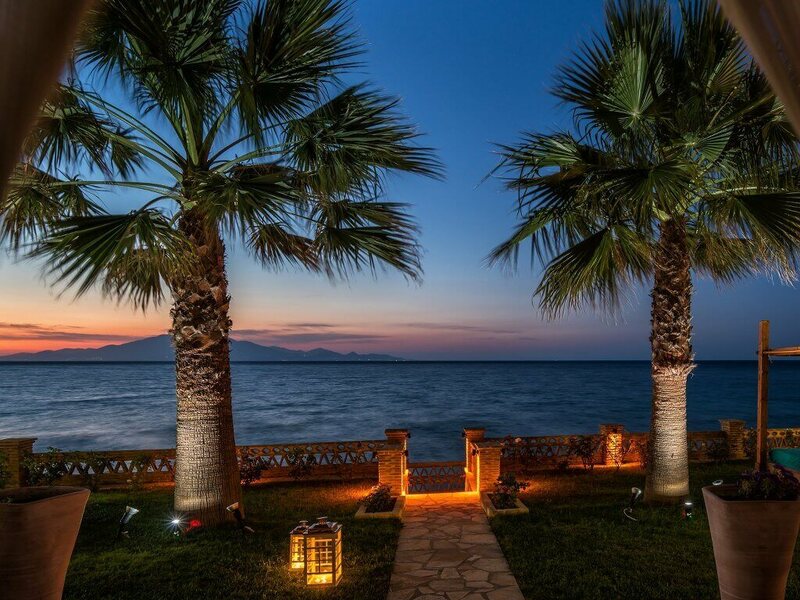 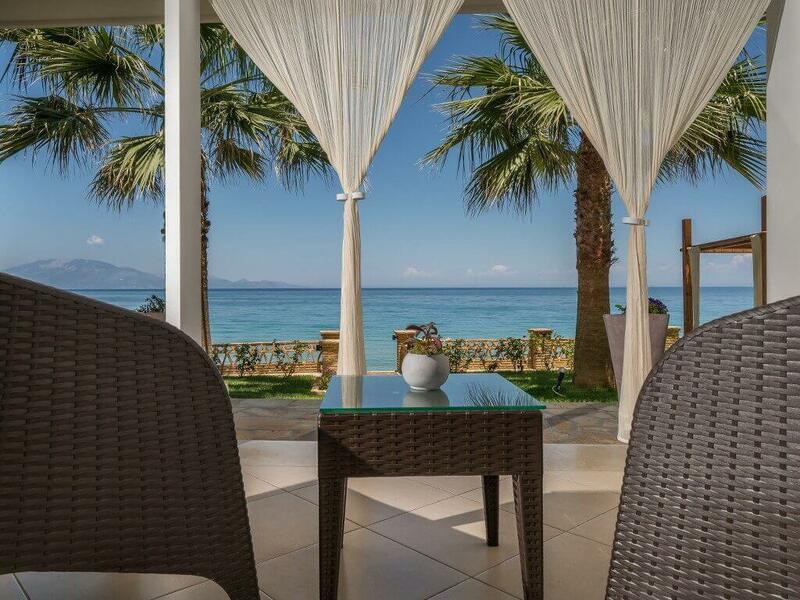 They are situated on the ground floor and offer sea view veranda and access to the beach. 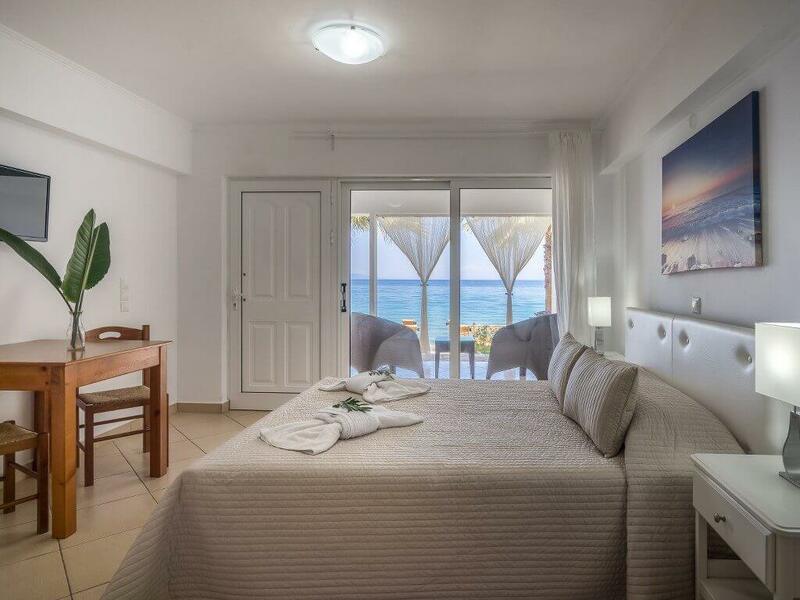 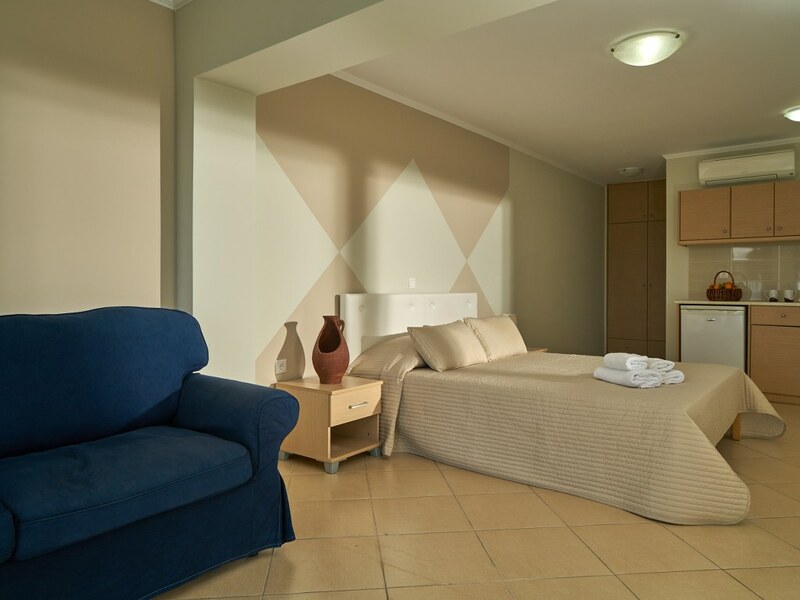 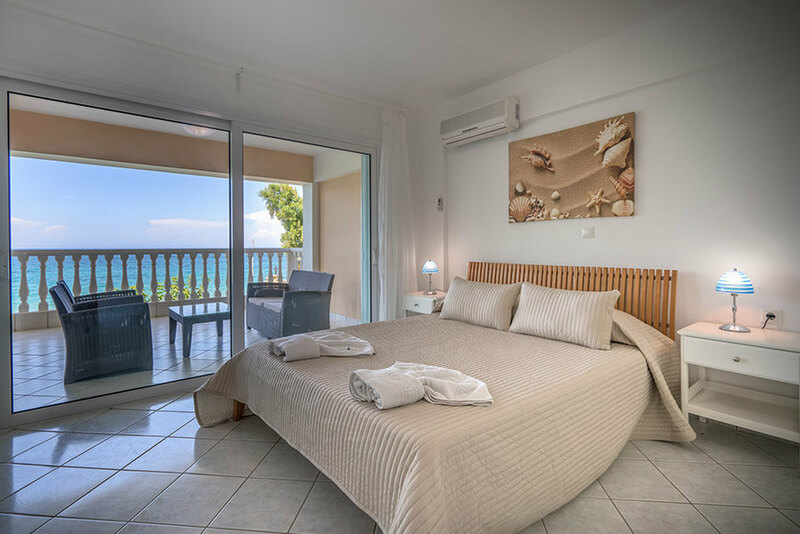 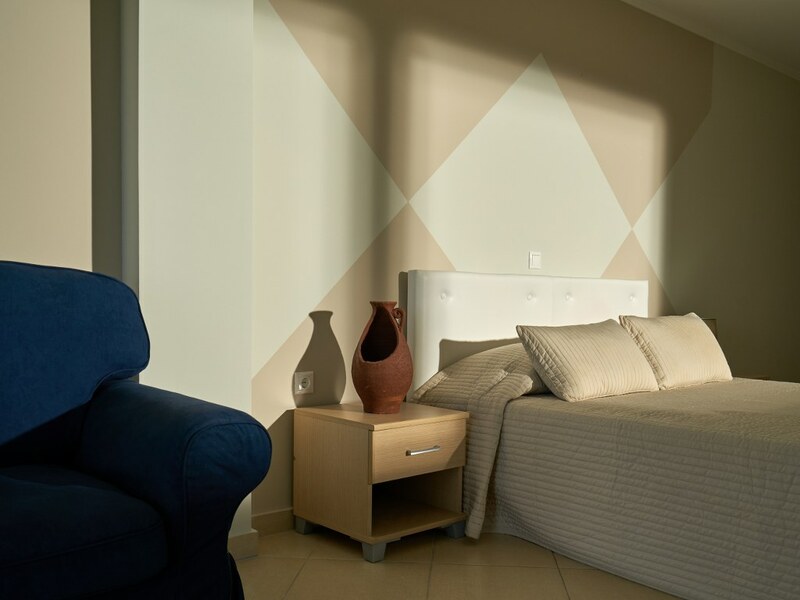 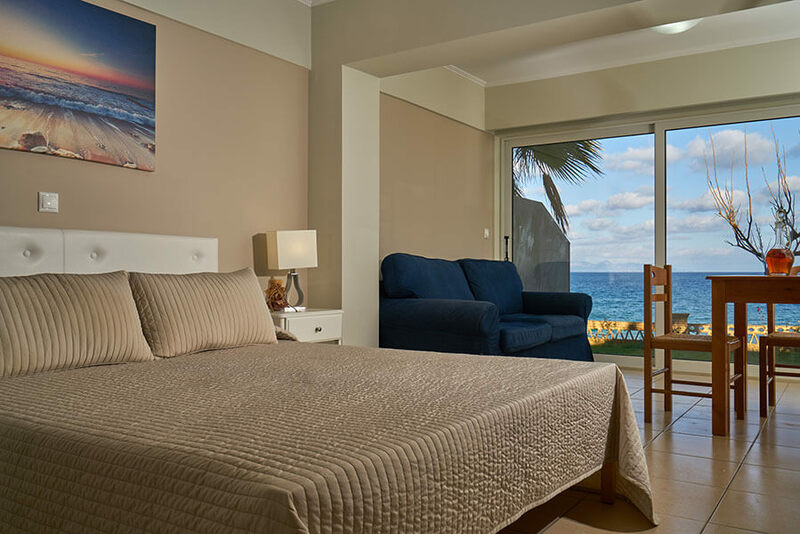 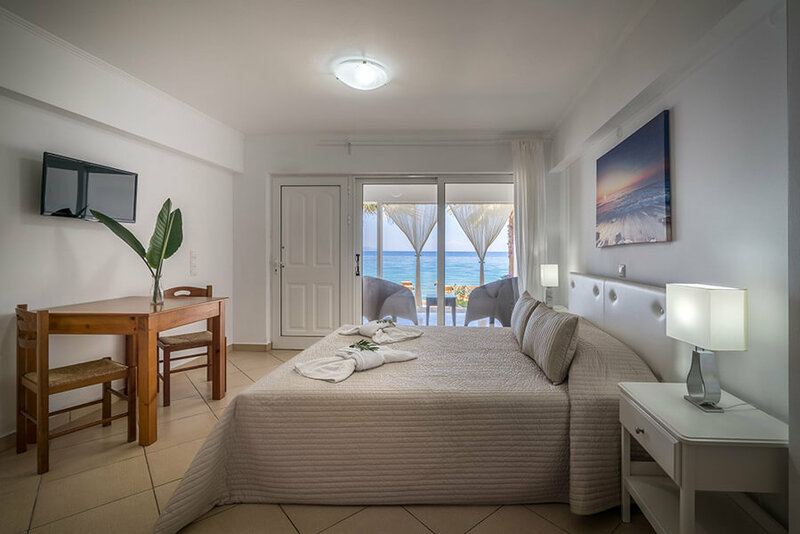 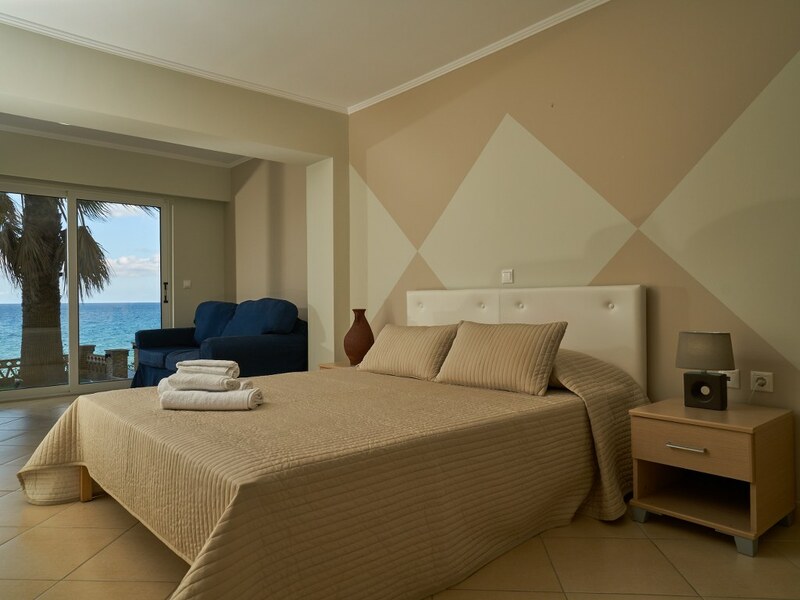 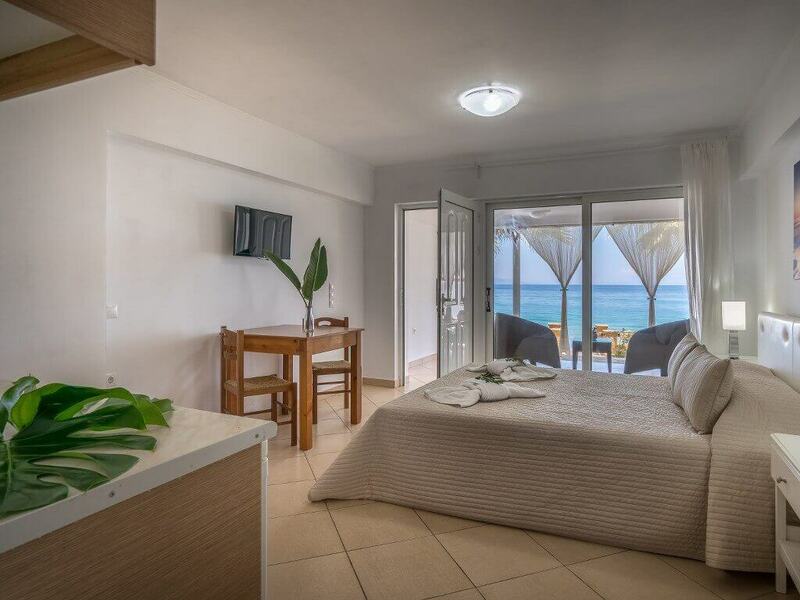 All studios offer a double bed and a double sofa bed as well as a private bathroom with bathtub. 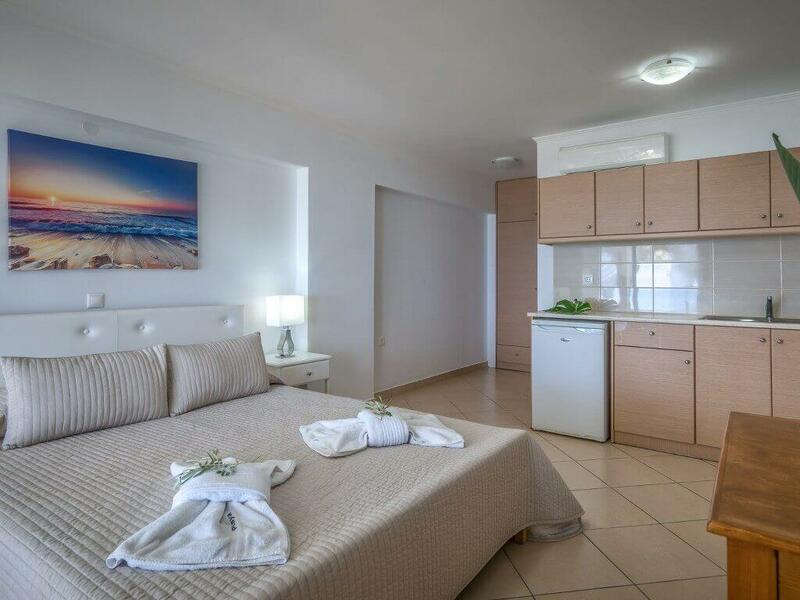 Moreover air-conditioning, flat screen TV and a fully equipped kitchen with electric hobs and separate oven is offered.